A lot of weather comes to visit our little island. And we do tend to whinge about it from time to time. But when sun and rain coincide, diamonds are scattered over the garden. A good time to put a transparent bag over the camera and step outside. 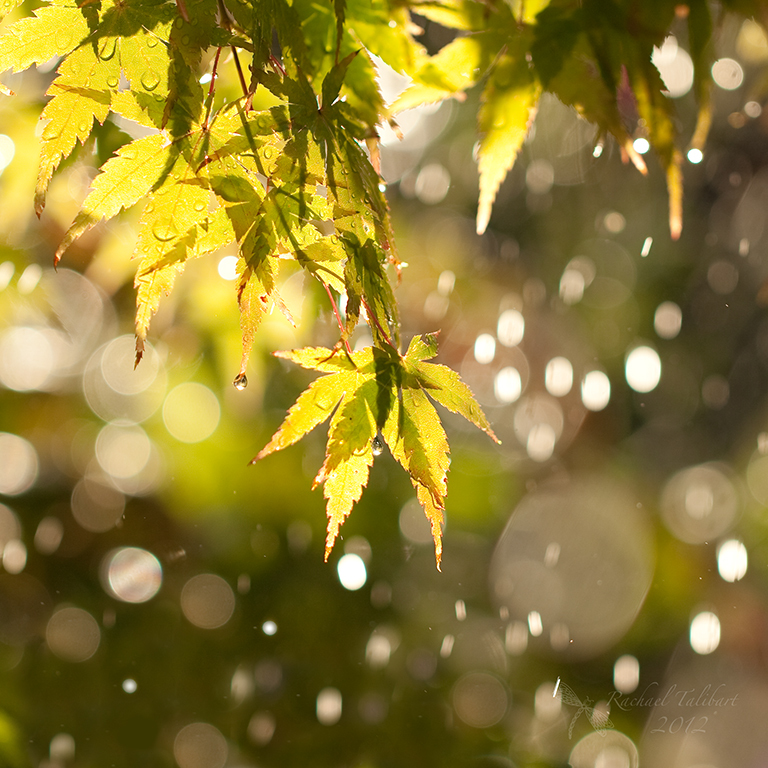 This entry was posted in garden, nature, photography and tagged acer, bokeh, droplets, garden, leaves, photograph, photography, rain, sun shower, weather by Rachael. Bookmark the permalink. Cool picture! …what kind of plant is it that’s being rained on? Thanks, Joe. It’s an Acer, Japanese maple tree. I’ve noticed some gold and russet tones developing in a couple of local maples here recently. Seems a bit early to me, SINCE I NEARLY SUCCUMBED TO HEATSTROKE SEVERAL TIMES last week — but maybe they know something I don’t!